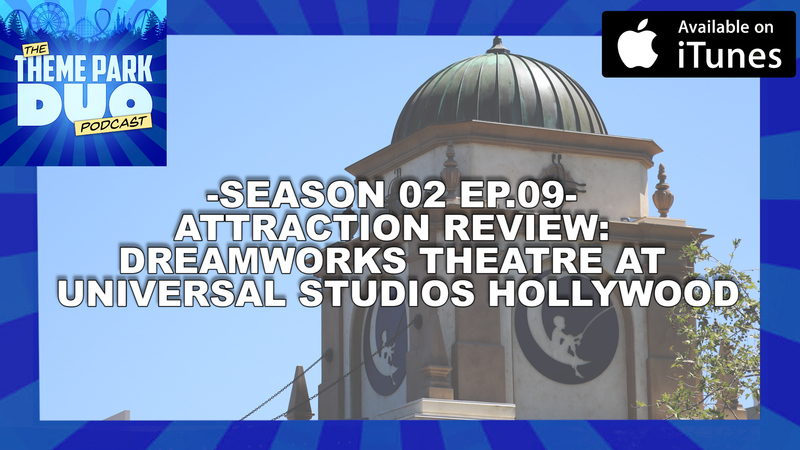 On this weeks episode of The Theme Park Duo Podcast, The Duo head on over to Universal Studios Hollywood to experience the BRAND NEW DreamWorks Theatre Attraction featuring Kung Fu Panda. But before that, they go into a Theme Park Bulletin! The Duo discuss some Disney/Disneyland news with the announcement that Pirates of the Caribbean would receive FastPasses and park specific block out dates are being rolled out for Annual Passholders of The Disneyland Resort! Lastly, The Duo talk about their experience going to the Christmas in Spring event at MEND in the San Fernando Valley, Hosted by Universal Studios!